I am re-posting a reminder about our 4th Annual Sept. Stitch Shenanigans crazy quilt retreat! We are accepting deposits now to hold your spot!!! This promises to be a very fun time! available for those wishing to attend a class only. As a refresher to folks, as we are a little over a month away from our deadline. 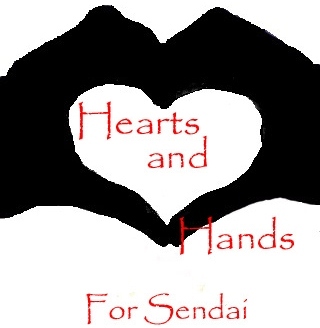 I have started a project, named Hearts and Hands For Sendai! 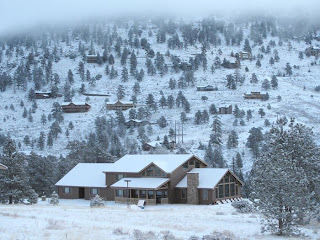 The purpose is to open this project up to the quilting community at large and have blocks made in any quilting medium. These blocks will then be assembled into wall hangings and sent to Japan to be displayed in the International Quilt Show in coordination with Patchwork Tsushin as a fund raiser when viewed. I have created a logo, such as my first attempt with photoshop goes, and anyone is welcome to use the logo to advertise this project on their own blog or in their own quilt organization. I greatly appreciate everyones participation in this event! If you have any questions about this project or would like to participate, please contact me at pinyoncreekq@q.com . I just recently discovered this little gem of a stitch on Sharon Boggon's Stitch Directory! I LOVE it! It is called the renaissance stitch and is really very easy to do! The picture above is Sharon's rendition! Isn't it wonderful? So, following are some pics that show you the basic steps. I am basically following the seam line to help me judge placement of the middle of the first stitch and the top of the second stitch. I also discovered in playing with the spacing that it can be made to look like a row of diamonds OR one, cohesive unit of stitching, creating a stitched version of ric rac. I hope you enjoy!